And, so my WooWoo Dolls were born. (There's more to that story...but, another time. This is the story of Misery and Mal...) I enjoyed them - still do ;-) But, I wanted to do something else. My roots as an artist are in pencil and charcoal. I LOVE to sketch. This time, though, I tried ink. That's a commitment, you know. You can't erase ink. But, I envisioned something emo, gothic. And ink just made sense. Misery's first tag line was "Black As My Mood". I'd always wanted to incorporate text into my work. I should have realized that Misery was going to be a reflection of my feelings. My concept was that there was a little girl that was left alone in an instituion. She had no belongings of her own. But, she had an imagination. And lots of feelings that she couldn't express. She found bits of paper, some scraps of wood, a pen and a few nails. And so Misery was born. My little orphan girl had found her voice...so did I. "Sad" w as the first Misery that I did. 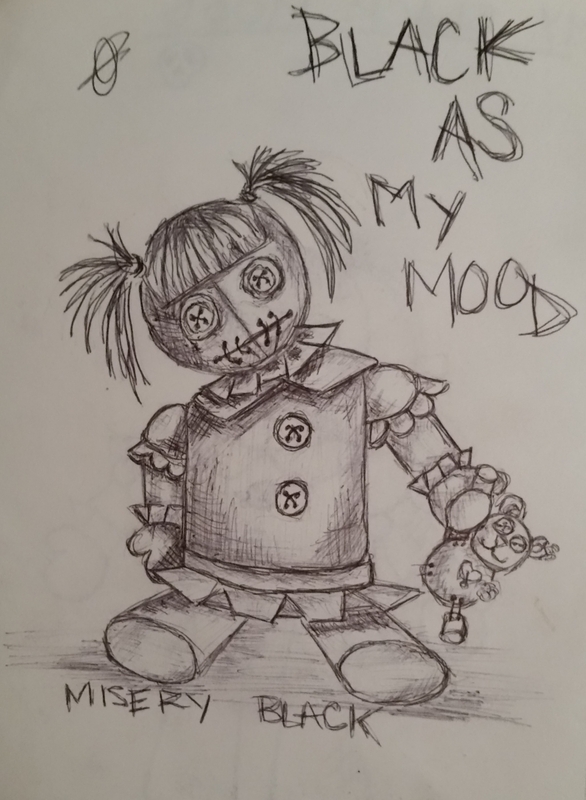 There was something about the idea of a slightly creepy, little rag doll girl that was sad because a little stuffed bear was broken. I don't know, I guess it's the poetic irony. Because I do a lot of things in sets of four, along came "Happy", "Fear" and "Brave". Excellent post! Loads of individuals know demonstrates their aptitudes utilizing the cycle. In this image, men demonstrating their aptitudes with military resume writing services and you can say it a trick and need to state that don't attempt this trick at the schools, office, and homes. Such individuals are encountering and do bunches of training.